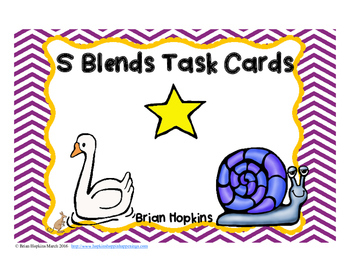 S Blends Task Cards are perfect for playing the popular game Scoot, placing at a reading center, using in journals, Quiz Quiz Trade, Showdown, Numbered Heads Together or other popular cooperative group activities. 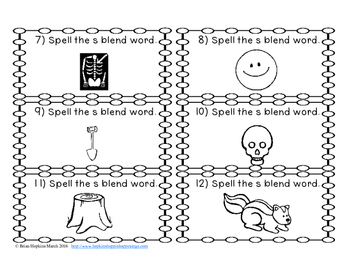 Children spell the word for each picture or you may have them just write the blend. 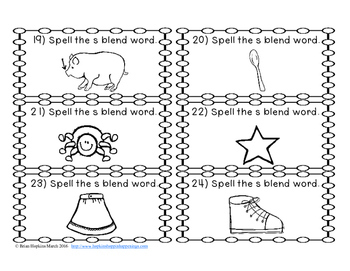 Children will need to know digraphs, r-controlled vowels, dipthongs, cvce, etc. 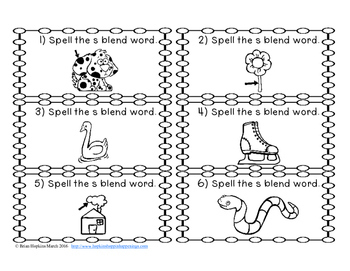 in order to spell these words.